Play the tough guy! Flip burgers on the grill or pull a cake from the oven with this thick, sturdy oven mitt. 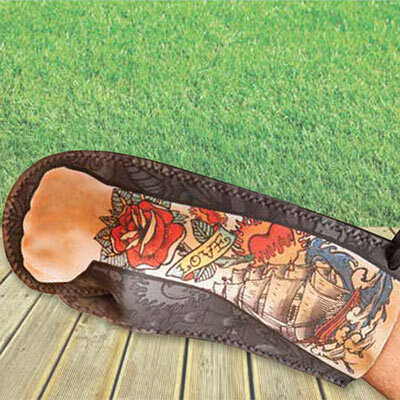 Fun, tattooed forearm and clenched fist printed on rugged nylon with nylon lining. Machine wash. Imported. 12"l. Hurry! Quantities are limited!